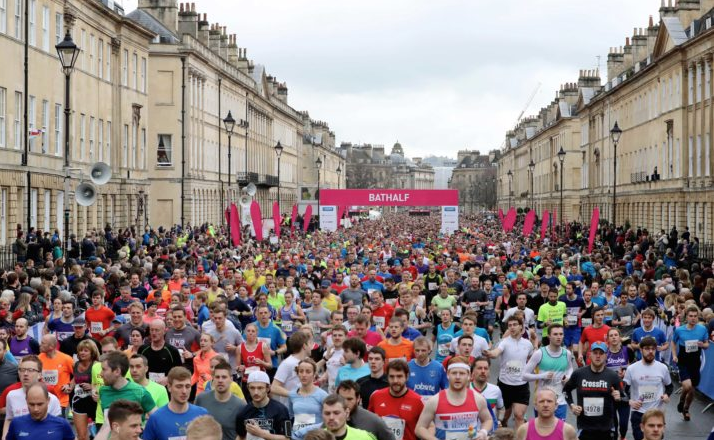 The Bath Half Marathon – or the ‘Bath Half’ as it is affectionately known, is one of the longest established and most popular city centre road events in the UK. It is also the largest charity fundraising event in the South West region, raising over £2.25 million for charity in 2017 alone. You don’t have to raise money for charity, but we’re delighted that most of you chose to do so. If you have not already chosen a charity, why not run for our Lead Charity British Heart Foundation, or one of our other official race charities? Whether you’re a runner, spectator or resident, you’re in the right place to find out more about our events, including the Bath Half Marathon, Corporate Challenge and Family Fun Run; as well as our race charities, sponsors, training and medical advice.